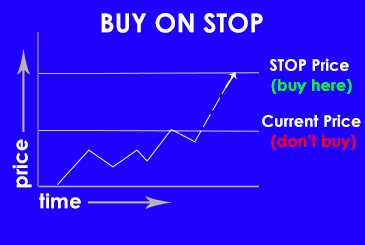 A buy-on-stop is a trade order used to limit a loss or protect an existing profit. It is a buy order marked to be held until the market price rises to the stop price, then to be entered as a market order to buy at the best available price. The buy-on-stop price always is set above the existing market price. This type of trade is sometimes called a “suspended market order,” because it remains suspended until a market transaction triggers the stop. Buy-on-stop orders can be used for long and short positions. For long positions, it allows investors to take advantage of anticipated market upswings, and to minimize risk, without frequently monitoring the investment or the market. When short selling, the investor can choose to implement a buy-on-stop order, as a way to protect against losses if the price shoots too high. When an investor “shorts” a stock, he is betting that the stock price will drop, so he can return the borrowed shares at a lower price (called “covering”). Technically speaking, buy-on-stop orders exemplify a method of engaging in a purchase request for a security that carries the stipulation that the request be held until the current market price for the security is equal to the stop price for that particular asset. Let’s say that for the past several weeks, the price of a stock has risen from 3.00 per share to 5.00, and is now trading within a range of between 4.50-5.00. You’ve determined that the stock will probably move higher and you’d like to make money on this prediction, but only if the stock actually breaks out of its trading range. 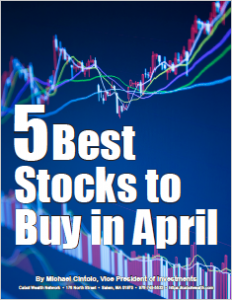 Rather than keeping your eye on the stock every day, you can implement a buy-on-stop order at, say, 5.10. If the stock actually does move higher and break out of its trading range of 4.50-5.00, your order will be triggered once the price reaches 5.10, thereby becoming a market order to buy shares of the stock. If the stock doesn’t break out and move higher and instead starts to drop, your order would not get triggered. Typically, these orders are used when an investor has determined that the market price for a certain type of security is on the verge of entering a period of growing value. This principle works in reverse, when short selling. A buy-on-stop order is a risk-hedging strategy that allows you to secure an asset when and if the market price begins to rise, but it obviates the need to continually monitor the security’s activity. 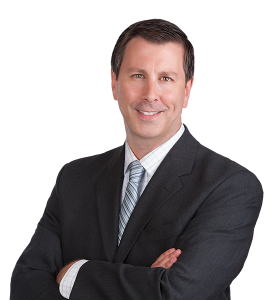 Michael Cintolo is a growth stock and market timing expert. His Cabot Growth Investor, with its legendary Model Portfolio, is recommended for all investors seeking to grow their wealth. *This post was originally published in 2016 and is periodically updated. On Monday, my wife Terry and I took delivery of a new Tesla Model X SUV. This purchase was enabled by my success in the stock market with the help of the Cabot Analysts and your sponsorship. Thank you!